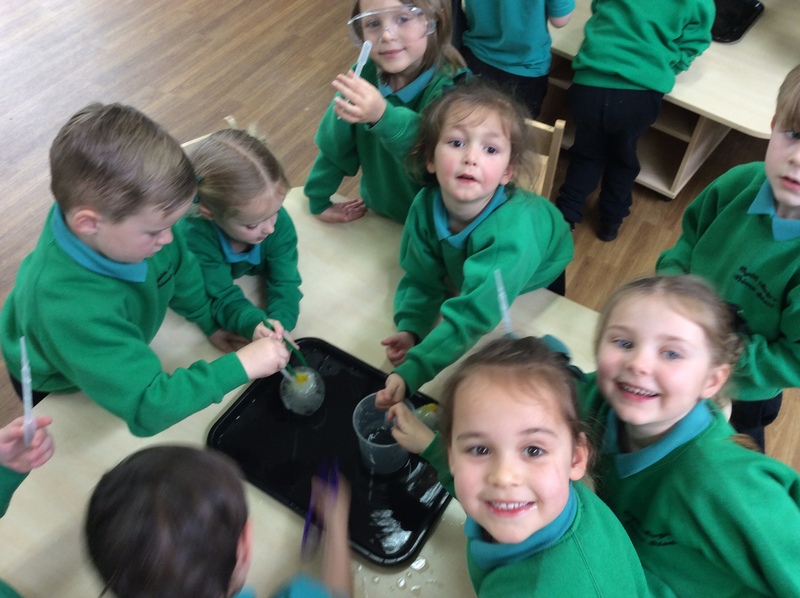 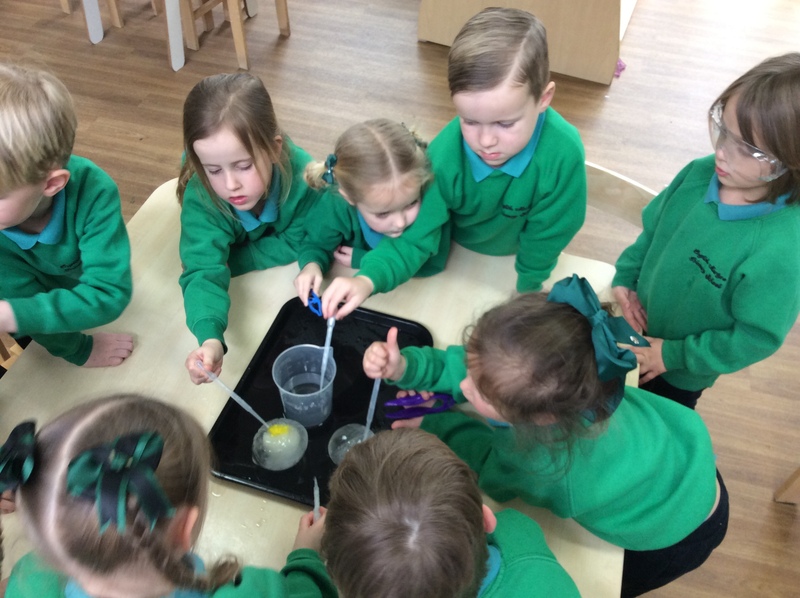 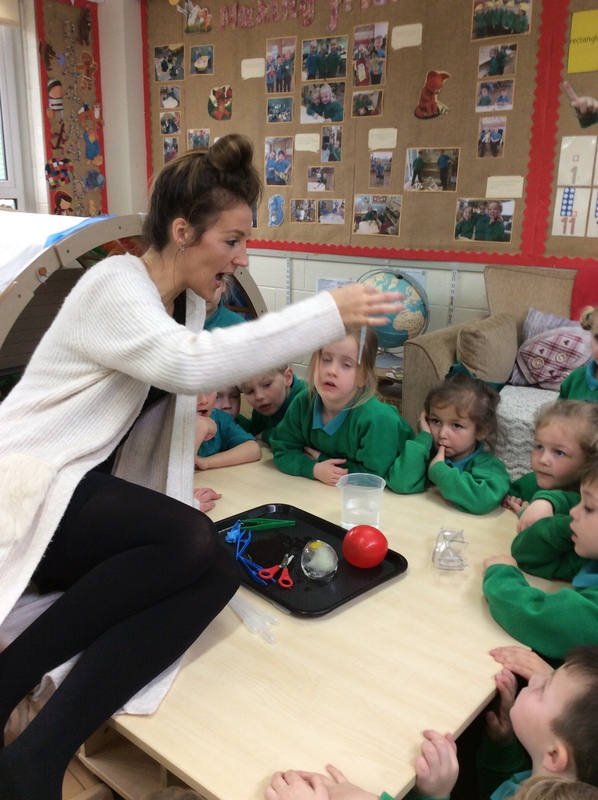 This week, we have had so much fun taking part in some science lessons. 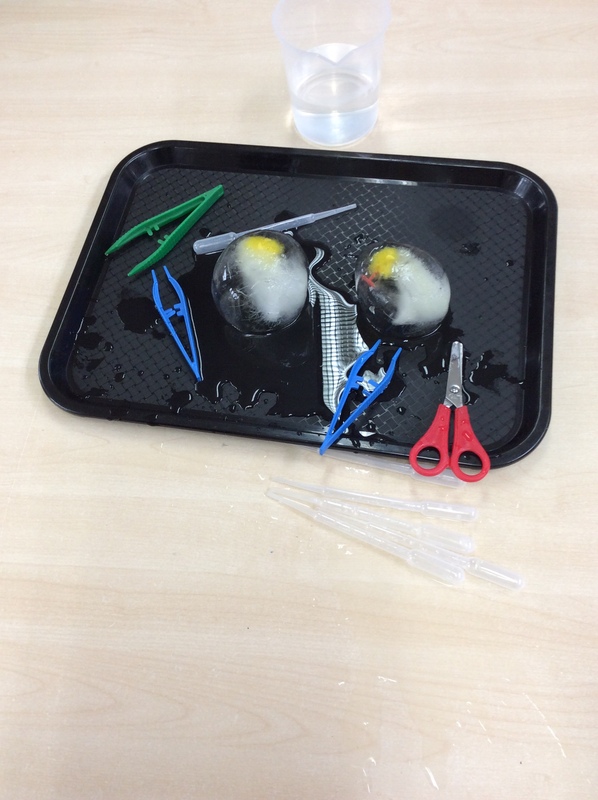 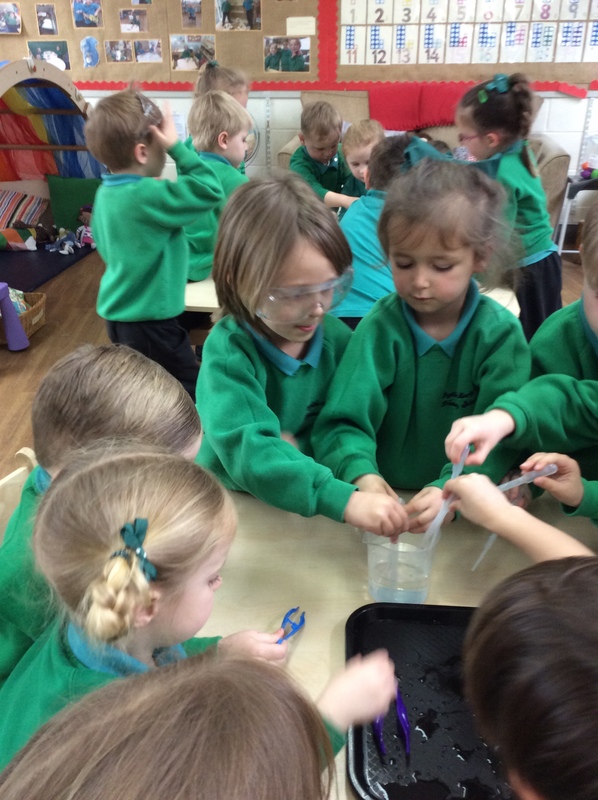 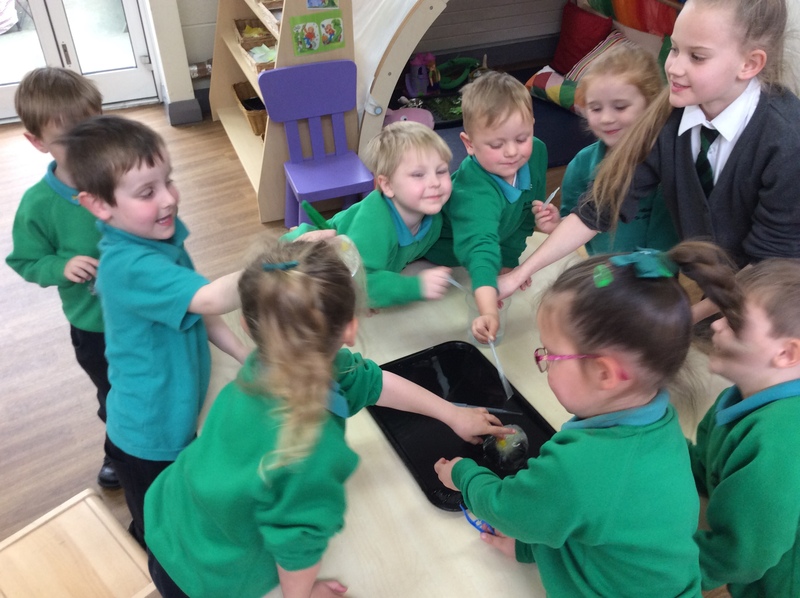 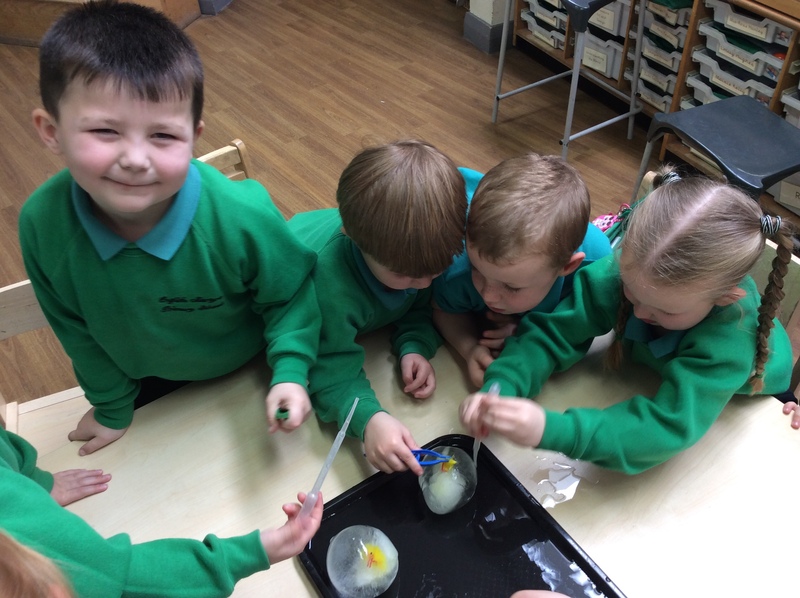 Firstly, we had to excavate some chicks out of their icy shells which we did using pipettes, warm water and tweezers. 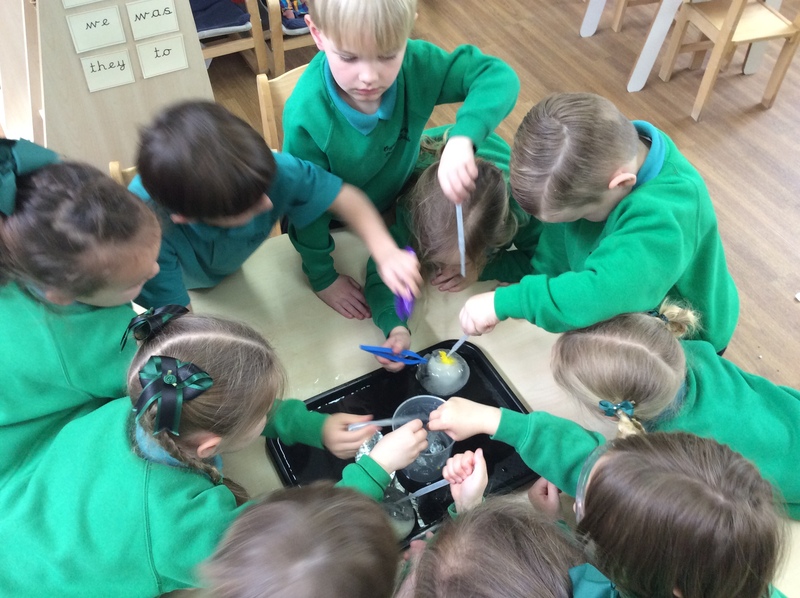 We used words such as ‘melt’ and ‘freeze’ and the pupils did such a good job of thinking about what happens to ice in order for it to change its state back to water.